We only use the best parts and components from reputable performance manufacturers to create a solid machine that will last for years to come. You get dealer pricing on all parts through our DEALER DIRECT NEWEGG PRICING and we offer a FLAT RATE build fee for all custom built machines. Designed for Work & Play – Every machine we build is unique and customized to the specific needs of our customer. Want a machine that plays video games on ultra graphics settings? Looking for a workstation that blazes through 3D rendering? Does your business need a server where staff can share and access files from anywhere? Our custom built rigs will fly through whatever work load thrown at them. Our builds are only made with quality parts – many with 5 year and lifetime warranties. Hand Built – our gaming towers are performance tuned to give you the best experience no matter what game you are playing. Built to play any game including World of Warcraft, League of Legends, Overwatch, Witcher 3 , Just Cause 3, Grand Theft Auto and Battlefield series. 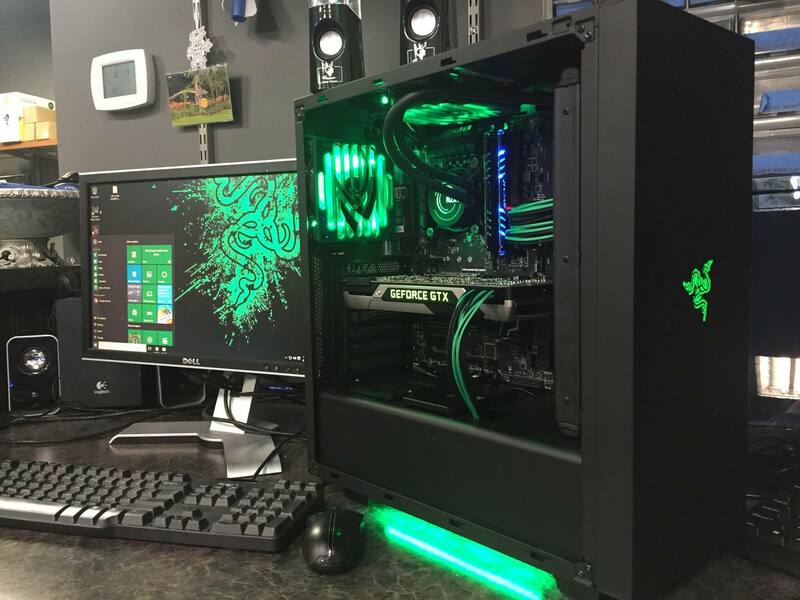 From 3D modeling workstations to video editing machines or multimedia & photo editing powerhouses, our high performance custom rigs offer improved productivity benefits to the non-gamer. Securely store & access your company files at anytime from anywhere. Optimize your business infrastructure, boost application performance, manage your data all while consistently adapting to your business needs with a custom built server.